Motion sickness can be treated completely with the help of homeopathic remedies. 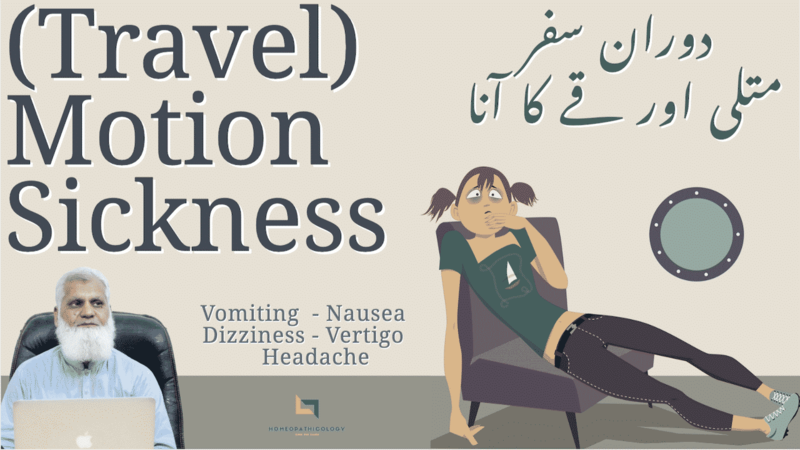 So, today we will discuss about the 5 homeopathic medicines to cure Travel sickness. Petroleum works perfectly when vomiting occurs again and while traveling along with a headache. If you ate a lot of food and your stomach is filled up. Then you may suffer from vomiting and nausea. In such condition, Petroleum homoeopathic medicine can give benefit from Petroleum. It is very beneficial homeopathic medicine. Cocculus patient either traveling by car, bus or train Patient suffer from Nausea and Vomit. Then you can give cocculus to that patient. In this case, the patient also feels a headache and dizziness. In tabaccum case, nausea is too much and such situation is called as deathly nausea. The retching is extreme and patient feel senseless. In tabaccum patient feels motion sickness during the sea journey. Such patients suffer from tobacco smell too. Ipecac is one the best medicine for vomiting, nausea, motion sickness and stomach disorders. If motion sicker have whitish tongue then with the ipecacuanha dose, patient can be cured. Coca works best during mountain sickness. It means that if someone travels on mountains and feels motion sickness. Then patient feels dizziness, vomiting, nausea as travel sickness on mountains as high altitudes. Then we can give coca homeopathic remedy to treat mountain sickness. Now you might be wondering that what is the best dose for homeopathic medicine of motion sickness. So, as a homeopathic remedy you should use it 30 potency and 5 drops in half cup of water 3-5 times a day. Else wise you can use it tablet form by pouring drops on the tablets.